Victoria Presbyterian Church was designed by Knox & Elliot in 1890, just before Ellis came to the Junction. Many of the Junction’s leading families are known to have worshipped here. This was one of the first brick churches to be built along Annette Street, and helped make the street the centre of public life in the Junction. In addition to church services, this church was also host to concerts and served as the community’s first high school. 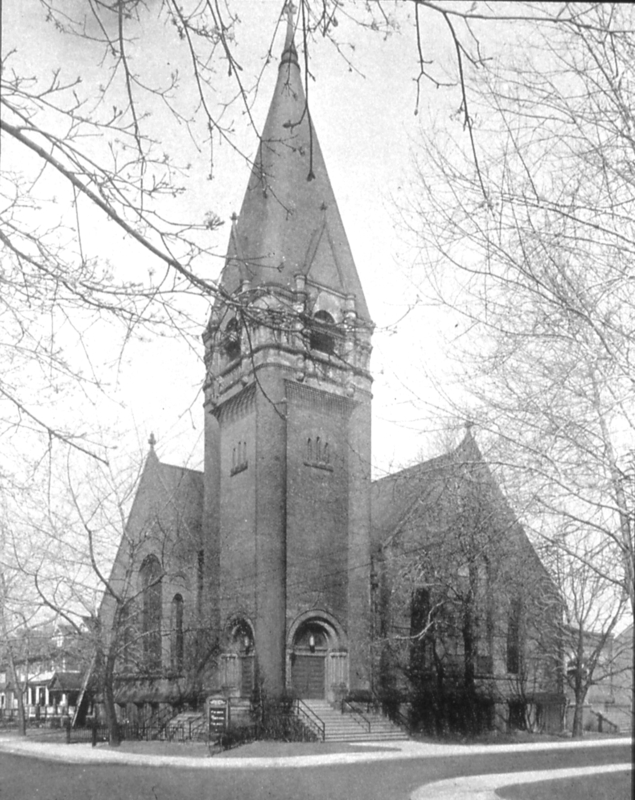 Prior to its construction, local Presbyterians had met in a wooden church across the street on Pacific Avenue, now the site of St. Cecilia’s Catholic Church.